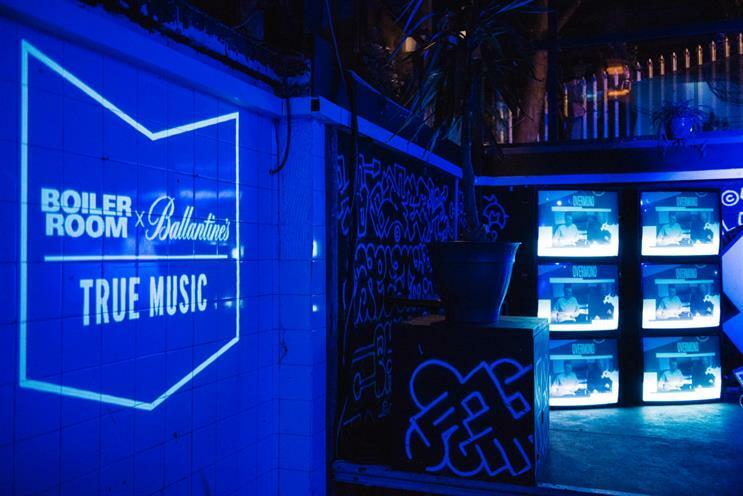 Pernod Ricard scotch whisky brand Ballantine's is staging a tour in collaboration with music broadcaster Boiler Room, featuring live acts performing across three continents. "True Music: Hybrid Sounds", the third such collaboration between Ballantine's and Boiler Room, will pair live acts from the electronic music scene with more local, instrumental counterparts in Moscow, Beirut, Sao Paulo and Valencia. Exclusive tracks created from the events will feature on the True Music EP to be released on digital and vinyl later this year. The story behind each collaboration will be brought to life through behind-the-scenes documentaries featuring intimate performances and "making of" footage. Tom Elton, Ballantine’s head of music, said: "The collaboration is all about continuously delivering new and exciting music for our fans, wherever they are in the world, and this project’s combination of unexpected artists and locations will do just that." The tour kicks off in Russia on 15 February.